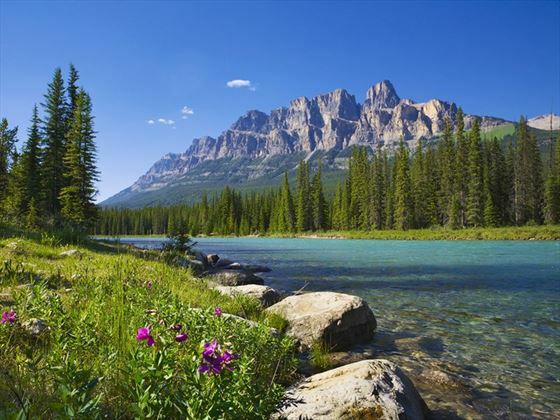 Experience the very best of the American and Canadian Rockies on this two week escorted tour. Start in Denver, USA in the foothills of the Rockies, before travelling through cowboy country onwards and upwards to the iconic Yellowstone National Park. Cross the rugged beauty of Montana before reaching Calgary in Canada. 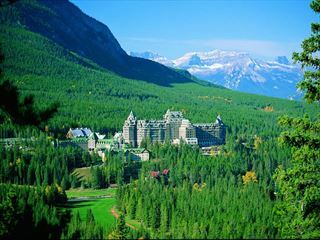 Onwards to the Canadian Rocky Mountains, and the two national parks of Banff and Jasper, stopping also at stunning Lake Louise. Finally travel west to the vibrant port city of Vancouver. From here you can take an optional excursion over to the charming city of Victoria, in its spectacular location on Vancouver Island, surrounded by ocean and mountains. Arrive in Denver, the Mile High City, and transfer independently to your hotel where you will meet your Tour Director. 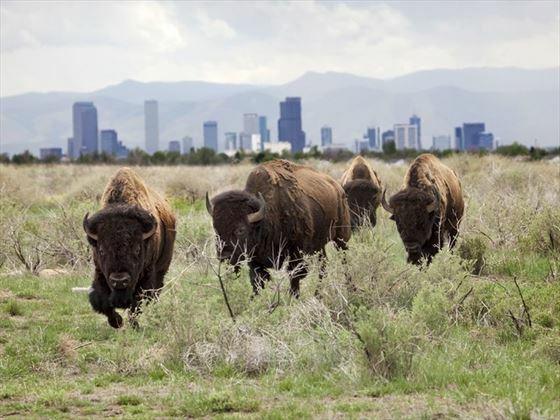 Enjoy a full day of leisure in Denver. A fascinating city, with a blend of Old West heritage and modern urban energy, set against a backdrop of the Rocky Mountains. Your Tour Director will be on hand to help you plan your day. Drive the short distance to the Rocky Mountain National Park. Nearly 500 square miles of spectacular mountains. Continue through the capital city of Wyoming, Cheyenne, to Casper, a place steeped in Old West culture and the legacy of pioneers who forged their way through the mountains on their way to California. 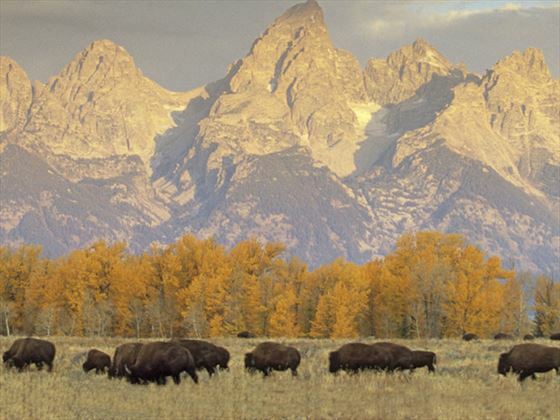 Today take an unforgettable journey into America’s first national park Yellowstone. 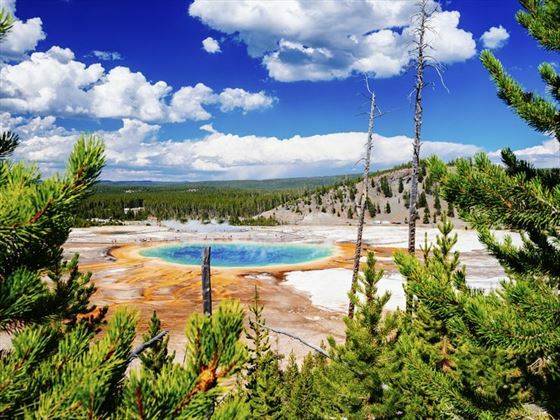 This is Earth in Action, with geysers, hot springs and waterfalls, with the iconic spots of Old Faithful, Mammoth Hot Springs and Yellowstone Canyon. The park is also one of the world’s top wildlife preserves, and is home to eagles, grizzly and black bears, buffalo and elk. Spend the day experiencing more of Yellowstone’s natural wonders. Marvel at a volcano’s hidden power rising up in colourful hot springs, mudpots and geysers. Explore mountains, forests and lakes to watch wildlife and witness the drama of the natural world unfold. 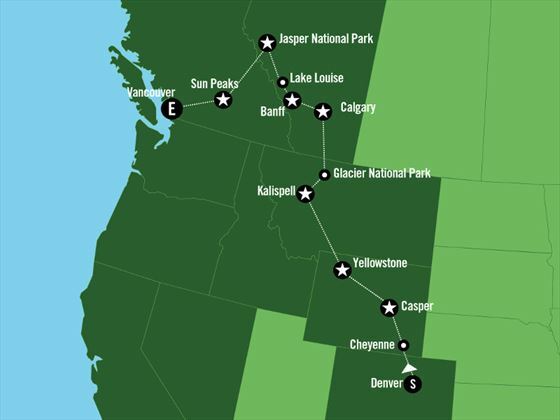 Crossing the continental divide, you’ll leave the wonders of Yellowstone behind as you make your way alongside the impressive Mission Mountain Range and beautiful shores of Flathead Lake to Kalispell. Centrally located in the Flathead Valley, Kalispell is surrounded by 2.3 million acres of forests and wilderness, a wonderful blend of natural beauty and rugged Montana spirit. This morning visit the Glacier National Park, where you will find dense forests, alpine meadows, rugged mountains and spectacular lakes. 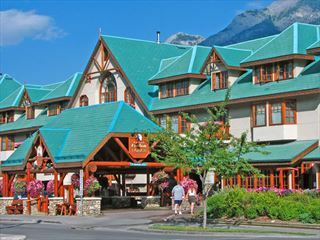 Travel along the famous Going-to-the-Sun Road, a National Historic Landmark and one of the most epic engineering feats in the world, before crossing the Canadian border and travelling to Calgary. Here, you might want to get a bird’s eye view of the city from atop the Calgary Tower, ride the luge at the Canada Olympic Park or step back in time with a visit to Heritage Park Historical Village. Today you will head for the Canadian Rocky Mountains, and the Banff National Park - over 2,500 square miles of unparalleled mountain scenery. Spend the day exploring this magnificent area, spotting wildlife and taking in the beautiful vistas. Begin the day with a visit to one of the most photographed lakes in the world – Lake Louise. After spending time to admire the stunning views, continue to the Icefields Parkway – a truly spectacular roadway, before reaching Jasper National Park. 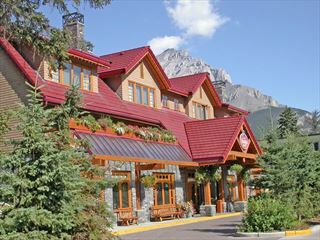 Perhaps more laid-back than Banff, it is a wonderful place for wildlife-spotting, strolls through the incredible scenery and relaxing in the lovely mountain town of Jasper. 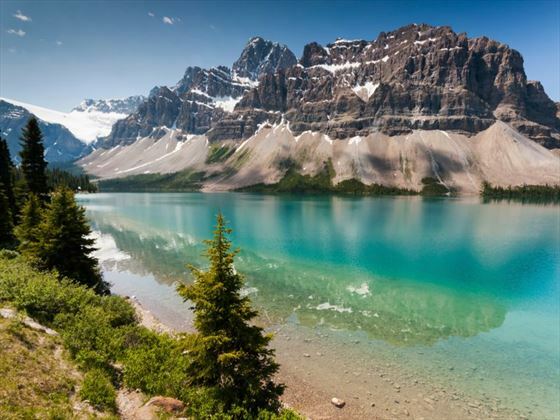 Cross the provincial border into British Columbia as you drive along the Yellowhead Highway into Mount Robson Provincial Park, where you will find the highest mountain in the Canadian Rockies. Continue to Sun Peaks where there is a great combination or outdoor adventure and First Nations heritage, then finally to your overnight destination of Sun Peaks – a stunning mountain resort. Follow the Fraser and Thompson Rivers are you wind your way through Fraser Canyon. Follow the trails used by early gold seekers and relive their journey through steep canyons, fast flowing rivers, high mountain passes and rugged scenery. Continue through the lush fertile fields and dairy farms of the lower Fraser Valley to the port city of Vancouver. Enjoy a tour to see the highlights of this vibrant city, including Gastown, Stanley Park, Vancouver Harbour and Chinatown. 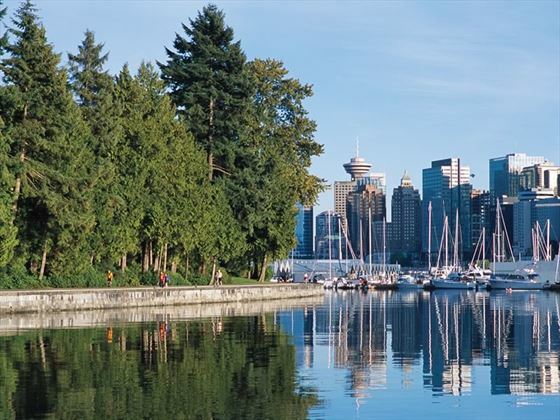 Today you can enjoy a full day at leisure to explore the wonderful city of Vancouver. Or you can take an optional excursion over to Vancouver Island and Victoria – the capital city of British Columbia. 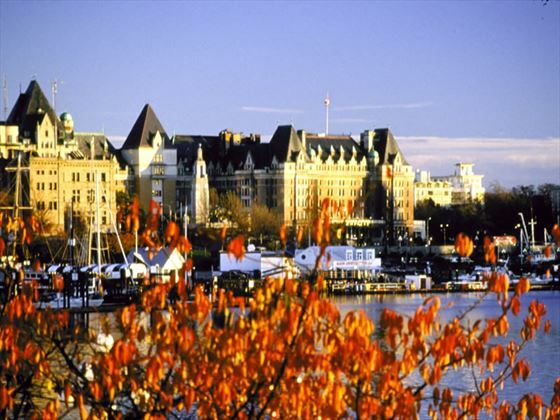 Victoria is a unique blend of old world charm and new world experiences. Explore the Inner Habour and Old Town where you will find charming shops, stroll through Butchart Gardens one of the world’s premier floral show gardens. Enjoy afternoon tea, set against the backdrop of the Pacific Ocean and the Olympic Mountains. There will be some free time in the morning to bid farewell to Canada, before your independent transfer to Vancouver Airport to check in for your return flight. Or you can stay a day or more longer if you would like to continue your holiday.